Ireland completed a very successful auction of spectrum in the former GSM-only bands (900 MHz and 1800 MHz) and in the 800 MHz band (the so-called ‘Digital Dividend’), which became available on 24 October last following the switch-off of analogue broadcasting. 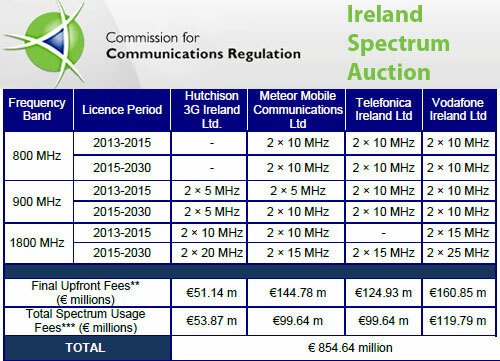 The auction raised approximately €854.64 million for these spectrum rights, comprising of €481.7 million in Upfront Fees (adjusted as necessary by transitional arrangements), along with annual Spectrum Usage Fees totalling €372.95 million which will be adjusted for inflation and paid in instalments until July 2030. "The proceeds of the auction are greater than many people expected and are a statement of confidence in the economy. The total licence payments of €845M are front loaded so over 50% of the money (at least €450M) will go to the exchequer this year. The balance will be paid over by Telecoms companies on a phased basis over the coming years. I expect that the telecoms companies who were the successful bidders will move quickly to build the infrastructure so that we can start to benefit from 4G mobile broadband services in 2013. This will be an important dimension of Ireland's competitiveness in the coming years. It is a key component of the Government's National Broadband Plan which envisages high speed broadband services being rolled out across Ireland in the lifetime of this Government," stated Pat Rabbitte, Ireland's Minister for Communications, Energy and Natural Resources. 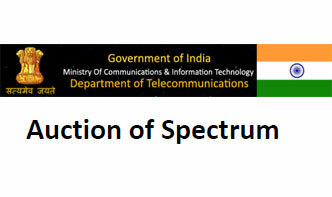 India's Department of Telecommunications confirmed the following winning bidders in last week's 1800 MHz Spectrum Auction for 2G services. The auction was ordered by the country's Supreme Court, following the high profile scandal involving the previous license awards. This auction generated approximately INR 94 billion (US$1.71 billion), falling significantly short of market predictions in the INR 400 billion range. 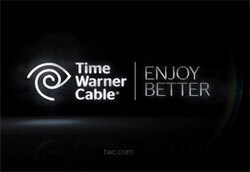 Time Warner Cable (TWC) inaugurated a National Data Center East in Charlotte, North Carolina. The $82 million dollar National Data Center is a 178,000 square foot (16,500 m2) facility that includes 1,600 racks of technical equipment and four 12,000 square foot data halls. The second facility is a four-story, 103,500 square foot administrative office building. In support of TWC’s green initiative, both buildings will seek Silver LEED certification. The new data center is part a $101 million expansion at the company's campus in Charlotte. Time Warner Cable also highlighted that the new data center leverages Cloud Technology from NaviSite, a Time Warner Cable company. Alcatel-Lucent appointed David J Geary as president of its Wireless division, effective January 1, 2013, replacing Wim Sweldens. Geary was previously president of the Wireline division since 2009 and before that he served as President of Switching Division, President of Application Solutions at Lucent, COO of Lucent's Integrated Network Solutions Group, and Senior VP of North American sales for Lucent's Service Provider Networks division. In his new role, Geary will report to Philippe Keryer, president of the newly-formed Networks & Platforms Business Group. Starting January 1, 2013, the Wireline division will be headed by Federico Guillen. The global optical network hardware market, including WDM and SONET/SDH, fell 2% sequentially in Q3 2012, according to preliminary analysis from Infonetics. This marks the third straight quarter of declines following 5 consecutive quarters of minor increases. "Investment in new WDM gear is growing, but it isn't growing fast enough to offset the accelerated declines in SONET/SDH," notes Andrew Schmitt, principal analyst for optical at Infonetics Research. "SONET/SDH spending hit another all-time low in the third quarter, as architectural shifts in wireless backhaul quicken its transition into obsolescence. Carriers aren't allocating scarce capital to out-of-date equipment." Performance in North America and EMEA (Europe, the Middle East, Africa) was relatively weak, although North America is expected to resume moderate growth in 4Q12 as AT&T and Verizon ramp spending.